Marketers are dead certain that consumers always want something fresh and new; meanwhile, consumers often seem to hate big changes—as Pepsi’s and Tropicana’s disastrous rebrandings just proved. But for some reason, everyone loves throwback branding. It’s an interesting move. In a former life as a management consultant with beverage-industry clients, I worked on a conundrum that has tortured the industry: Unlike nearly every other class of consumer good, soda has never been able to create a high-margin, premium product. Many marketers still rue the cola wars of the 1980s, which eventually led to diet sodas being priced just like regular sodas, even though the demographics are much richer. Throwback branding might just work in finally creating that long sought-after premium, for a number of subtle reasons. As Ad Week points out, retro-branding is an easy way to tap sentimental connections—which brands themselves have spent billions of dollars in creating, only to discard them once the new campaign approaches. 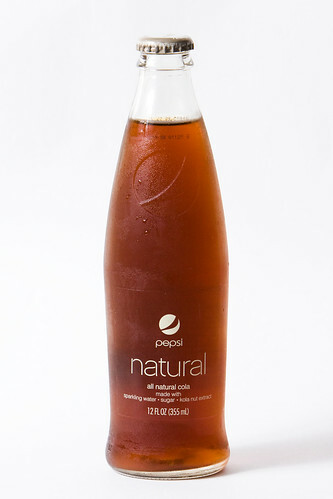 Moreover, Pepsi, in linking retro with it’s “natural” roots, finally has a believable story connecting it with the organics movement at large. And organics of course, are the biggest story in food and beverage of the last twenty years: A so-called organic product can easily sell for twice as much, even though the health benefits and lessened environmental impact are dubious. Very clever.